The new year is almost here and it is the perfect time to take stock of the past year, to pat yourself on the back for what went well in your career as an artist, for recognizing what didn't work out so well, and for making new goals. These are resolutions that you can return to every year, for undoubtedly some have received less of your attention over the past year than others, as is normal. But it is a new year and a new world, with corresponding challenges and opportunities. It is time to prioritize and get things in order again and determine what you want to accomplish as an artist and what statement you want your artwork to make. If you keep a daily journal, take some time to review your entries for the past year. If you don't keep a daily journal, make that a new resolution, and take a few moments to think about the past year and write down the things that went well for you as an artist and the things that didn't go as well, along with what you might have learned from them, or how you might have done things differently. Think about sales, contacts, projects, classes, events you participated in, paintings you're working on, things that inspired you, things that depleted your creative energies. Did you achieve the goals you set for yourself last year? If so, congratulations, that's great! If not, why not? What prevented you from achieving what you set out for yourself to accomplish? External events? Fear that you're really not that good? Fear of rejection? If so, read the classic book "Art ​and Fear," to help you overcome your fear. Not enough time? Is that something you can take more control of and change or might you need to adjust your thinking on how much time you actually need? Even half an hour a day for a small painting or sketch should be enough to keep creativity flowing until you have time to tackle bigger projects. Make it a priority in the new year to address the areas you fell short of your goals in the past year. Set at least one long-term goal. These are overarching goals that you want to accomplish by year's end. Some may be even longer, such as 3-year or 5-year goals. For example, you may want to have an art show, or get into a gallery, or create an artist website. 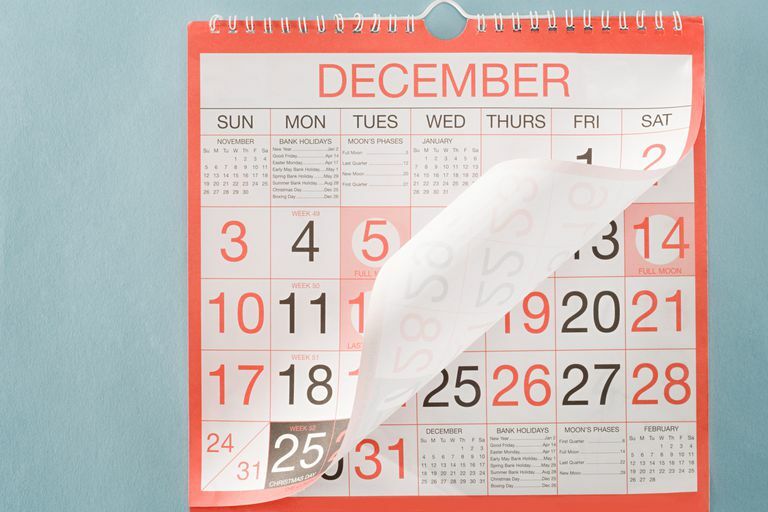 These long-term goals will keep you on track throughout the year. Decide by when you want to achieve a certain long-term goal, then break it down into smaller, manageable steps. Having a supportive artist friend with whom you share your goals can help make them more attainable. Set short-term goals. Break your long-term goals down into smaller pieces and turn them into short-term goals. These are goals that you set for yourself to accomplish within a shorter time-frame, such as a day, or a few days, or within a week or two. For example, if you are preparing to create a website you need to have good quality photographs of your artwork. You can set the goal of photographing all your artwork within the next month. 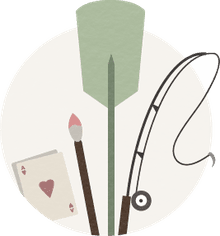 If your long-term goal is to have a show of your artwork, then in addition to photographing your work you will want to write an artist's statement and put together a mailing list. These can be your shorter-term goals. Keep a calendar. This is where you will set deadlines for yourself to help you achieve your goals as well as keep track of exhibit deadlines, application deadlines, when to drop off and pick up work, etc. This is also where you schedule time to do your artwork! Schedule time to paint. Schedule undistracted time for your artwork on a regular basis. Paint daily (or almost daily) if you can. Value who you are and what you do as an artist and make time for it. Keep track of your work. This is part of valuing your work. Keep a spreadsheet of your work. Include title, dimensions, medium, date, and where it is. Is it on loan? Is it sold? Who owns it? How much did you sell it for? Use sketchbooks and visual journals regularly. These are the seeds for your next great painting. Sketchbooks and journals are vital for keeping your creativity flowing, developing new ideas, doing studies, and for going back to and looking through during those times when you don't know what to paint next. Grow your fan base through social media. This may be hard for some of us who aren't as technologically savvy, but it is the best way to get your artwork seen by viewers, and that is what is important. The more people who see your artwork, the greater opportunity there is for selling it. Try Facebook, Instagram, or Pinterest, for example, whatever you are most comfortable with and see how it goes. Read "Best Social Networks for Artists to Sell Their Work" for more information on selling artwork through social media. Support other artists. You can start by "Liking" other artists' posts on social media. Artists tend to be a friendly, supportive, caring group of people, generally happy for other artist's successes, and concerned about the well-being of the planet and its inhabitants. There are many artists and art organizations doing great things in the world and we need to support one another. The world needs more artists. See more art and other cultural performances. Go to art openings, exhibits, museum shows, theater, and dance performances. Not only will you be supporting other artists by attending their openings, but the more artwork you're exposed to, the more ideas you will get for your own artwork. Grow as an artist. Learn new skills and try new materials. Take a class. Teach a class. Write a blog. Painting is a solitary business — balance it by getting out into the world and mingling with other people, creative types and other artists. And always, remember that you are blessed to be doing work you enjoy!